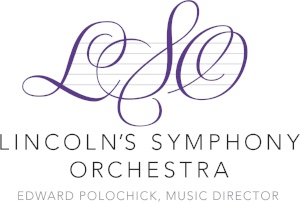 Lincoln’s Symphony Orchestra will present inspirational experiences that welcome all members of our community to discover and cultivate a profound, personal connection with live orchestral music. $50 covers the cost of one underserved family (from a Title I school, programs such as Big Brothers Big Sisters, or the immigrant and refugee community) to attend our Family Concerts. Lincoln’s Symphony Orchestra began working with Family Literacy (an English Language Learning program for parents and children through Lincoln Public Schools, serving the immigrant and refugee community) to provide a cultural literacy component in 2012. Participants attend Family Concerts free of charge, along with all family members living in the same household (totaling approximately 700 persons per concert). In addition, transportation is provided. Prior to the performance, LSO staff visit all twelve Family Literacy sites with translators to prepare them for the concert experience. Attendees receive information including concert etiquette, classical music history, instruments used in the concert, and a description of the story line. Through the partnership with Family Literacy, members of the immigrant and refugee community that are otherwise unable to attend cultural performances will enjoy live symphonic music. Mexican, Russian, Sudanese, Iraqi, Vietnamese, Burmese, Kurdish families, and others, are in the program. Most are unable to attend not only because of the perceived cultural barrier, but because of the very true challenge of transportation and financial restrictions. This partnership ensures that participants experience all aspects of American culture, going beyond what is typically learned in an ELL program. This unique element, cultural literacy, is a portion of what helps Family Literacy participants more comfortable in American society.